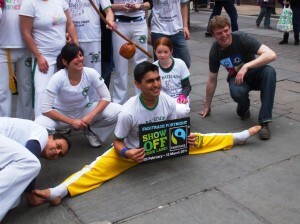 The Fairtrade Yorkshire campaign was launched in the county’s historic capital city of York during Fairtrade Fortnight 2011. The launch event which attracted over 2000 visitors included a rousing performance by the Golden Rail brass band. 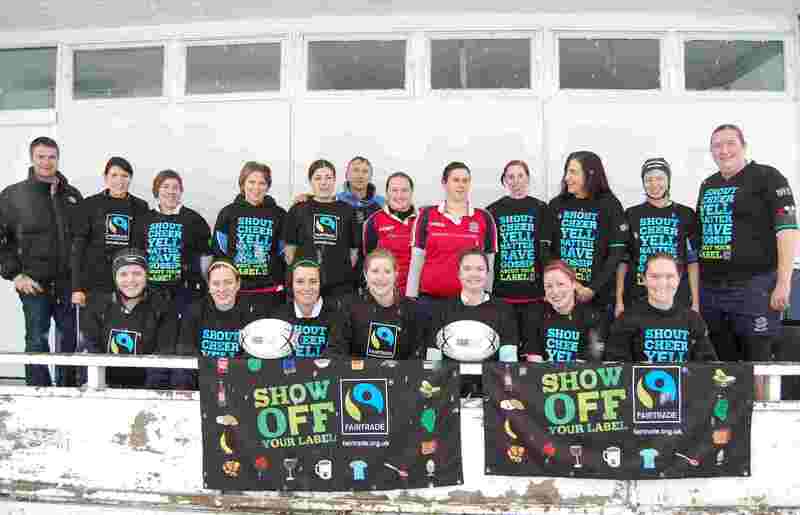 Fairtrade Fortnight in Sheffield had an atheletic edge to it when stars of its rugby union teams showed off their lables. 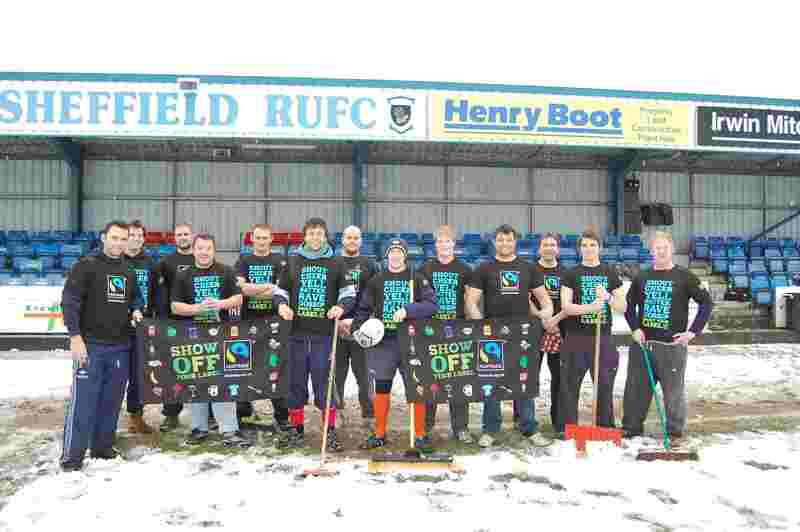 The teams braved the snow to support Fairtrade at an event organised by locally based business, Cafeology. Cafeology are an ethical beverage and equipment supplier who provide Fairtrade coffee, chocolate and sugar to companies across the UK and Ireland. 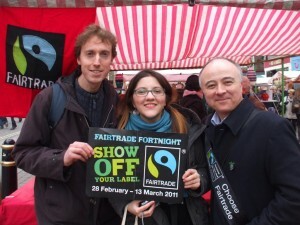 Cocoa farmers, Harriet and Fatima, visited Bradford as part of a producer tour during Fairtrade Fortnight 2011. They help provide the cocoa for delicious, Divine Chocolate which is co-owned by the Kuapa Kokoo cocoa farmers’ cooperative in Ghana. Divine’s Fairtrade principles helps thousands of farmers earn a fair living from their produce and enables them to provide for their families and communities. Harriet and Fatima attended several events in the city including visiting schools, a debate at the university and the Bradford Peace Festival where they met Nobel Peace Prize winner, Betty Williams. In Bradford City Centre, the Lord Mayor and Lady Mayoress joined with Fairtrade cocoa farmers, Harriet and Fatima, to show off Fairtrade cotton bunting that had been decorated by local schoolchildren. 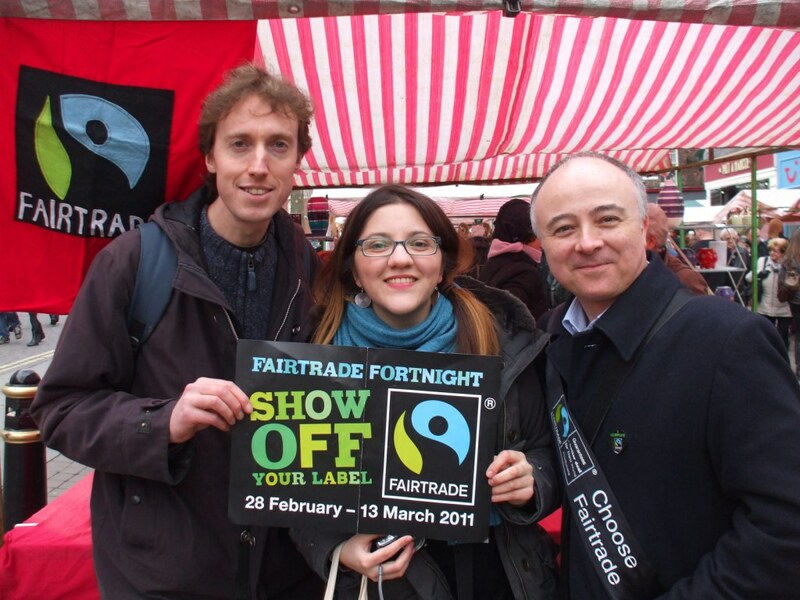 The bunting carried statements of support for Fairtrade. Across the UK over 130,000 decorated bunting triangles were completed, some nearly as good as those provided by the talented Bradford schoolchildren. The final line broke a world record for the longest ever string of bunting. 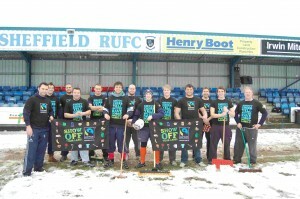 Thousands of events were held across Yorkshire for Fairtrade Fortnight 2011. From Scarborough to Settle, Richmond to Rotherham, there was something for everyone. 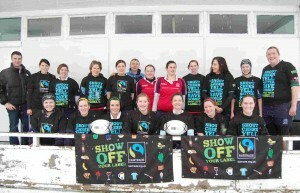 This year’s theme was ‘Show off your label’ with a special product focus on Fairtrade cotton. And how about this for showing off? A talented member of the York Capoeira troupe supports Fairtrade at the York Festival of Fairtrade entertainment day. 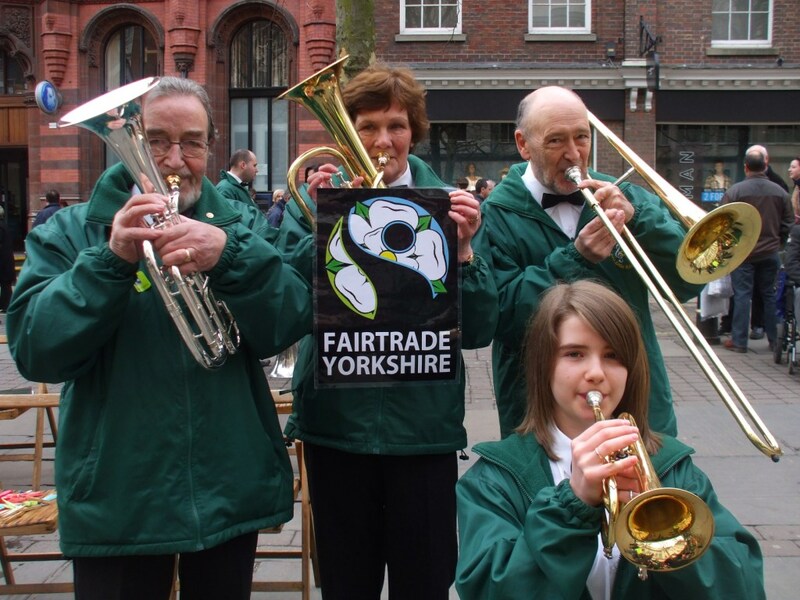 Fairtrade Yorkshire thanks the Cooperative and, in particular, the Cooperative Membership for their kind sponsorship. The campaign to make Yorkshire the first ever Fairtrade Region.